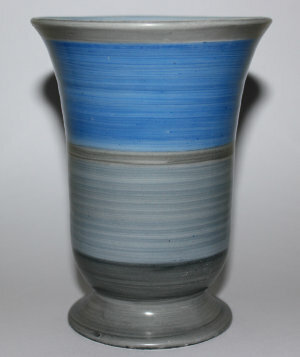 A Shelley Harmony ware vase decorated in bands of vivid blue and grey. 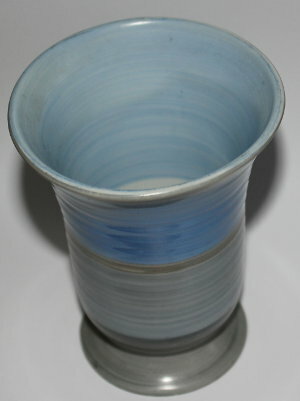 This super Shelley vase stands approximately 11cm tall and is 9cm in diameter at its widest point. 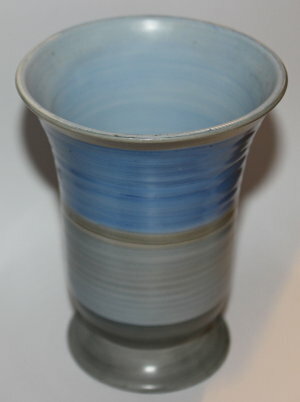 On its base this Shelley vase has the Shelley ENGLAND pottery mark and the impressed number 958. It can be dated c1925 to c1945. Condition: Excellent overall condition. 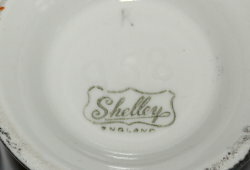 A super miniature Shelley vase.